To determine whether there is a genetic susceptibility to infection with and outcome from Ebola virus disease. Epidemic and emerging infectious diseases, with a particular focus in the viral haemorrhagic fevers and their impact on children. Aims to further develop strategies for the management of epidemics, the clinical management of paediatric cases during epidemics and the development of established protocols for research in epidemics and humanitarian crises. In establishing policies to involve children in research and clinical trials in epidemic situations, to ensure information can be gathered for future epidemic situations to improve clinical care and advance knowledge of disease and preventive measures. 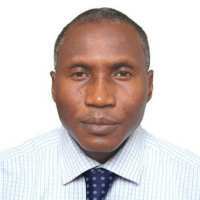 Dr Augustine Odo Ebonyi is a Senior Lecturer in the Department of Paediatrics at the University of Jos and a Honorary Consultant Paediatrician at the Jos University Teaching Hospital (JUTH), Jos, Nigeria. He is also an Epidemiologist. Has been working passionately for years now, improving the health of children in Nigeria and The Gambia. Research: Paediatric tuberculosis and HIV. Currently working on a research project titled “Improving management of latent Tuberculosis infection in HIV-1 infected children on antiretroviral therapy in North-Central Nigeria”, through funding from the Imperial College London/Wellcome Trust Global Health Clinical Fellowship. Heads the paediatrics TB unit at JUTH and also provide HIV care for children at the AIDS Prevention Initiative in Nigeria (APIN) paediatric HIV clinic, which is the largest of such clinics in North-Central Nigeria. Previously worked as a Research Clinician and as Medical Science Training Coordinator at the Medical Research Council, The Gambia. He is a Fellow of the West African College of Physicians. Studied for the Diploma in Tropical Medicine and Hygiene, and MSc in Epidemiology at the London School of Hygiene and Tropical Medicine. A Nigerian Breweries Scholar, Commonwealth Scholar and FEMTO Trust Scholar (scholarships awarded to study for the MB.BS and MSc degrees and DTM&H, respectively). Association of Nigeria and Nigerian Medical Association. 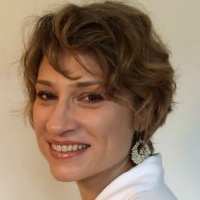 Elisabetta Aurino is an Italian National, and currently working as a Research Fellow at the Imperial College Partnership for child development. 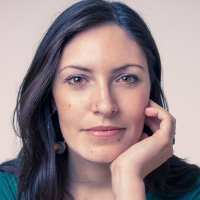 Main research interests : Elisabetta is a development economist and her research focuses on child development and poverty. She is particularly interested in health and nutrition deprivations, and how in turn these affect children well-being in other domains, such as educational achievements. At the moment, Elisabetta is focusing on two research streams. On the one hand, she is co-PI in two evaluations of the impact of social protection programmes such as school feeding and humanitarian aid on child health, nutrition and schooling outcomes in Ghana and Mali. Also, Elisabetta is conducting extensive work on children’s diets and nutrition in low- and middle-income countries, with a particular focus on adolescent girls. Malav Sanghavi is a Product design graduate of National Institute of Design, India and currently pursuing his Masters in Innovation Design Engineering at Imperial College and Royal college of Art. He has worked in different fields of product design ranging from designing commercial products, automobile, board games, medical equipment, retail merchandise, etc. to the field of Information Architecture and User-experience. His primary interest lies in developing new products in Medical field. His innovations are focused towards grassroots areas lacking basic facilities and caters to the needs of those people, by developing cost effective design solutions. He has received different awards and accolades globally including I design Award, PACE Global Design Award, Medicall Healthcare Award, Oxford Bio-Stars Award, etc. He has also given a TED MED Talk in Mumbai, India 2013. 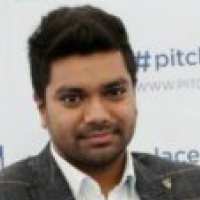 He has also presented and won recognition on a platform called Pitch@Palace, a competition held by HRH, The Duke of York, at St. James Palace in London. His future goals are to channelize his entrepreneurial spirit into developing a system of affordable healthcare at the grassroots and giving back to the society. 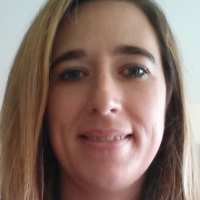 Katharina Hauck is a Senior Lecturer in Health Economics at the Department of Infectious Disease Epidemiology, School of Public Health, Imperial College London. Katharina is specialized in the economics of infectious diseases. The overarching theme of her research is the evaluation of public health and healthcare interventions using quantitative methods. Katharina has expertise in health system performance and the response of the healthcare system to pandemics, the economics of HIV/AIDS, and individuals’ demand for prevention of infectious disease. Katharina obtained her PhD in Economics from the University of York. Prof Paul Ramchandani is a Professor of Child and Adolescent Mental Health at Centre for Psychiatry, Imperial College London. Early child development and particularly in the prevention of emotional and behavioural problems in the early years of life. Longitudinal studies and clinical trials in the UK, and internationally, particularly in sub-Saharan Africa. Dr Jay Banerjee is a Consultant Neonatologist, Neonatal units, Imperial College Healthcare NHS Trust, London, UK and an Honorary Consultant, Paediatric Cardiology, Royal Brompton Hospital, London, UK. Previously, he did his undergraduate training in Calcutta Medical College in India and majority of his postgraduate training in the UK. His main research interest is involving parents as carers in a neonatal unit set up and empowering them to confidently look after their own children. Alongwith a core working group, he has created and leading a holistic programme called Integrated Family Delivered Neonatal Care funded by Imperial College Charity, which will enable parents to gain knowledge, create a diary of their journey and develop competencies to be the primary carer of their infants in a neonatal special care baby unit set up. This may provide better outcomes in terms of parent infant bonding, stress and anxiety, weight gain, breast feeding rate resulting early discharge from neonatal unit. This model of care can be adapted in low income settings globally where the infants will also benefit from one to one care, may reduce cross infection, eventually reducing neonatal mortality. His other research interest is to study neonatal haemodynamics in various settings using various techniques such as echocardiography and Doppler, near infra-red spectroscopy and newer techniques such as tissue Doppler imaging and speckled tracking echocardiography. He is also working on various projects in the neonatal units at the Imperial College NHS Trust, London, UK. This research is essential to understand the effect of resuscitation, fluids and inotropes in a neonatal intensive care unit set up. The research group of Dr Michael Templeton in the Department of Civil and Environmental Engineering is active in research in Ethiopia focused on evaluating the impact of school-based water, sanitation and hygiene (WASH) on the prevention of neglected tropical diseases (NTDs), such as schistosomiasis, in children. The research, led by PhD student Jack Grimes, has been conducted in collaboration with colleagues in the Schistosomiasis Control Initiative in the School of Public Health, Partnerships for Child Development, as well as in-country partners. The results are expected to be published in 2015-16. More broadly, Dr Templeton’s group also conducts research into more sustainable, low-cost onsite sanitation, with research to-date conducted in Nepal, Tanzania, Senegal, Benin and Côte d’Ivoire, though we are always keen to start new collaborations in other countries on these or related topics; please contact Dr Templeton directly if you are interested – m.templeton@imperial.ac.uk, +44(0)2075946099. Dr Templeton's blog on World Water Day 2015 on the role of WASH in preventing schistosomiasis. The International Decision Support Initiative (iDSI) is a global partnership of leading government institutes, universities, and thinktanks, to support policymakers in priority-setting for universal health coverage (UHC). Launched in November 2013, the innovative partnership model brings together the Global Health and Development Group at Imperial College London, Health Intervention and Technology Assessment Program (HITAP), the Center for Global Development (CGD) and Priority Cost Effective Lessons for Systems Strengthening South Africa (PRICELESS SA). The initiative receives funding support from the Bill & Melinda Gates Foundation, the Department for International Development (UK), and the Rockefeller Foundation. The iDSI supports low and middle income governments, and donors, in making resource allocation decisions for healthcare. Specifically, the initiative shares experiences, showcases lessons learned and identifies practical ways to scale technical support for more systematic, fair and evidence informed priority setting processes. In strengthening priority-setting institutions, the iDSI helps to improve access to effective health interventions, and the quality and efficiency of health care delivery. And importantly, it helps elevate the value of priority setting as essential for attaining and sustaining UHC.